Nostalgia is a fickle friend, finding us when we least expect it. Such a thing happened recently when I returned to New Hampshire for my friends' graduation. I got to thinking about all of the trips back and forth between my home and my mountains. And in doing so, I tried to remember how I'd returned from my first residency. It was back in January 2014 when the snow storm, "Hercules," left many of my peers stranded in Manchester, major highways closed, planes grounded. I took the bus for the first time for five hours to Vermont, and it was freezing, and a long journey, but I had Eleanor and Park. Thinking about this brought back all of my memoies of Rainbow Rowell's books, and I realized, every time I read one of her books, I'd listened to the audiobook first. That bus trip with Park and Eleanor and The Smiths and Watchmen was my introduction to the world of audiobooks. And let's be real, I was completely spoiled by the beauty of this book: both the writing and narration. The nostalgia of this moment and all it encompassesed flooded through me on my trip back home some two and a half years later, and I missed that first read, that first audiobook; the first time Rainbow Rowell broke my heart. Now there are certain authors who offer different things with their books, and I often reread them to find those things again. In many (if not all) of Rainbow Rowell's books, you will be sure to find charcaters who feel real: flawed and weird and perfect in their imperfections. And these characters will break your heart with their authenticity. 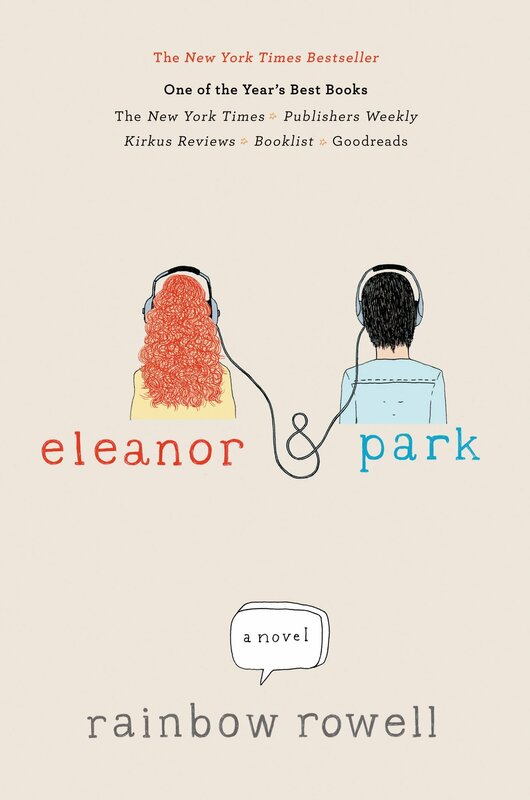 Eleanor and Park is the book that made my sister a reader, so I feel a debt to this book, and a connection because of the storm and the bus ride and graduate school. And when some months later I queued up Fangirl for my long car ride to Myrtle Beach, I fell in love once again. Spoiled by the same voice who reads for Eleanor, I fell in love with Cath. Rebecca Lowman (who also narrates Landline) has a softness that sort of breaks you when she reads Rainbow's words. It makes you pay attention to them. As a fangirl myself, and Potterhead, I adored Cath and the other characters within Fangirl. I remembered feeling shy and anxious in my first year of college, rereading Harry Potter to feel better, just as Cath uses Simon Snow (yes, I know I need to finish Carry On) in the same way. And for this I will always feel nostalgic. 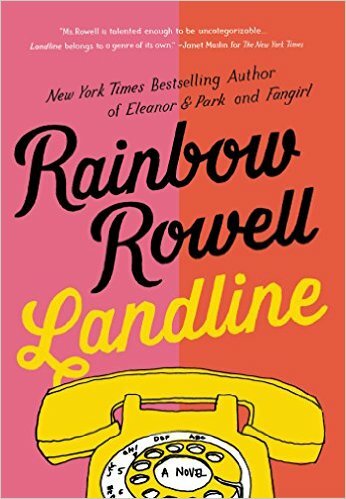 The final Rainbow Rowell book I listened to was Landline. Though this is not technically YA, there are moments from the characters' past, which show Georgie and Neal in their youth, and it's just as real and adorable as her YA books. I feel a strongest kinship and nostalgic ache for this novel in part because it was my most recent read, in part because this novel played at some of my own current fears in life. Once again, I listened to Rebecca Lowman narrate this stunning book. This time, however, I had to purchase the book and immediately reread it because the words were just too beautiful, and I wanted to keep them. With heartbreak, love, friendship, life, and a touch of magical realism, Landline still has me thinking. And some days, it is critically, most, nostalgically. 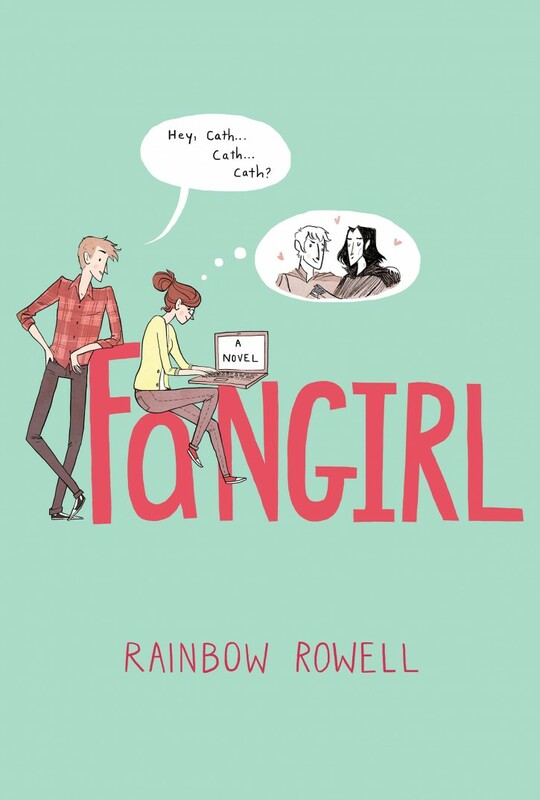 Rainbow Rowell has a way of taking even the smallest moments: sharing comics and secrets, reading a book together, long chats on old phones, etc. and she makes them feel like everything. And maybe this is what I still love, what I find myself looking for in other books, and in life; an attention to the small moments in life that pass us by, the perfect minutes we look back and remember because they are fleeting and shouldn't exist. And for this, I will always be grateful for Rainbow Rowell and her novels. And for this, I will think back longingly to the first listens, the second reads; the characters and stories still so real in my mind.